Lingering neuropathy – Lyme Disease, heavy metal toxicity or both? I haven’t written about my Lyme Treatment in quite a while. The fact that I have been feeling so much better that I’m not feeling such a strong need to process via writing is great news in and of itself. The last few months we have been doing some treatment experiments to try and answer the question of whether we are still dealing with a live infection or if the lower level of symptoms I have been experiencing are left over damage. There is also the open question of whether persistent Lyme can be truly cured or if the goal is remission and management. We have also been working through some other issues to see if there are complicating factors that are interfering with complete recovery. High lead and Cadmium – I had heavy metal testing a couple weeks back and my labs came back with high lead & cadmium levels. This leads to the question of whether my lingering neurological symptoms (burning in my toes & fingers and 15 months straight of tinnitus) are due to this, due to Lyme or the interaction of the two. I am starting chelation therapy to reduce the heavy metal load which can last 10-30 rounds of treatment or 20-60 weeks. I’m really curious what will happen. Babesia – Babesia is a parasitic infection that is also carried by ticks which is increasingly seen as a co-infection with Lyme patients. We have been experimenting with cryptolepis, an anti-malarial herb that is showing some promise with Babesia. My response to this has been positive (greatly reduced night sweats and reduced pain) but not so clear cut that we are 100% convinced that this is an issue. Lab tests for this parasite are close to useless with only a 30% accuracy rate so watching clinical symptoms is a better measure. We are going to keep watching. Pulse treatments – we have been doing what is called pulse treatments which simply means taking the medications for a couple weeks and then going off them for a time (starting with a week off and building up to longer “holidays”) and monitoring the symptoms. The results have not shown real clear patterns of good days & bad days again raising the question of whether the infection is live or knocked down enough to be in control. Current plan – The next step along with chelation is to reduce the Lyme meds down to just herbals (cryptolepis & grapefruit seed extract) and monitor what happens. This is going to help answer the question of whether I still have an active infection or not. If I have an increasing number of bad days or increase in pain levels we will add back in some additional herbals first and then antibiotics if needed. At this point I have been off antibiotics for 4 weeks straight (2 weeks during my recent vacation & 2 weeks since.) I felt great on vacation (no stress! ), had an increase in pain my first week back to work and last week was noticing the burning toes & fingers (neuropathy). I am going into the next couple months feeling hopeful and ready to lean into the treatment experiments to figure out where we are. I am cautiously hopeful that I may finally be done with the antibiotics and hoping we can get down to minimal herbals as well. While doing a bit of reading I ran across this interesting article in the Boston Globe about research showing a positive benefit of chelation on heart disease. It was fascinating to see how upset mainstream physicians are by this research result because they expected the study to show no benefit or even “better” they hoped it would show that it was dangerous. They don’t want to accept the positive results because it doesn’t match their personal beliefs. 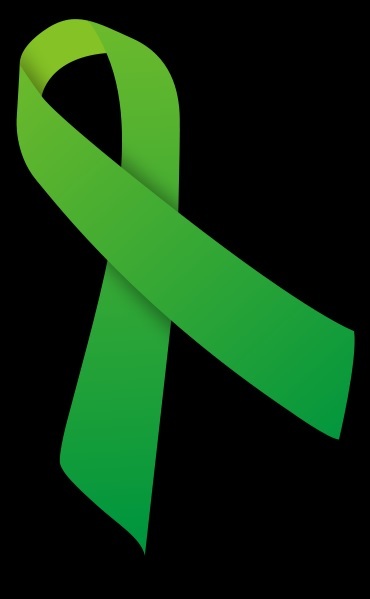 This aligns with my experience with Lyme – that some doctors have dug in their heals about the existence of and treatment of persistent Lyme Disease simply because they personally decided chronic Lyme doesn’t exist. We get into dangerous territory when we start ignoring science because we don’t like what it says. Can you please look at my post today of pic of my legs and tell me if this is part of lyme. I have been recently diagnosed and am awaiting consultation sept 11, in the meantime my legs are scary.